I was so pleased with my last nautical baby quilt that I had to try another. 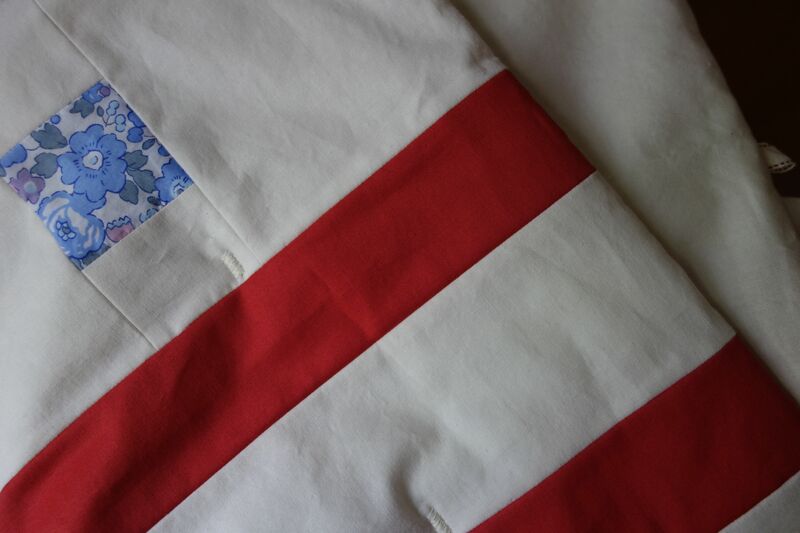 Instead of an appliqued embellishment, I added a small patch of Liberty Betsy Blue. The end result is unintentionally perfect for July Fourth–but I think it has year-round appeal. I just love the Kona coral–so cheerful and it seems to go nicely with almost any color. I read somewhere that everyone looks good in red and the same seems to be true with quilts. A little bit of red (or coral) is always a plus in my book. I just added this quilt to my Etsy shop! 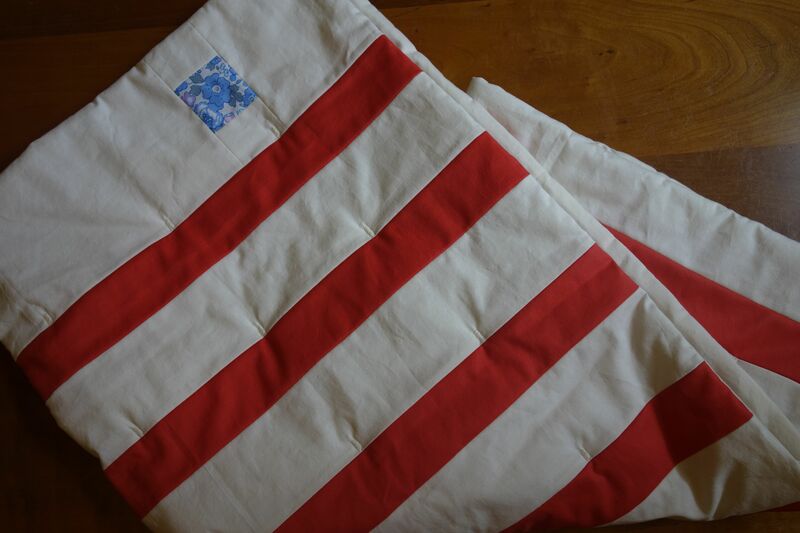 This entry was posted in kids stuff, quilts and tagged Breton, Etsy, Kona, nautical on July 4, 2013 by brigitdermott.